Hanoi (VNA) – Countries joining the Comprehensive and Progressive Agreement for Trans-Pacific Partnership (CPTPP) are potential markets for Vietnamese wood firms, said Nguyen Ton Quyen, Vice Chairman of the Vietnam Timber and Forest Products Association. 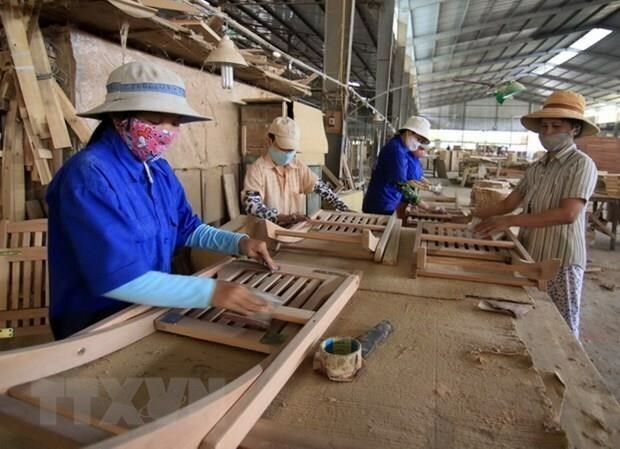 Quyen said when the agreement comes into effect, Vietnam’s wood and timber product exports to New Zealand, Singapore and Mexico will increase. The Southeast Asian country will also be able to expand exports to Peru, Chile and Brunei, he added. In 2018, the total export turnover of Vietnam's wood and timber products to the CPTPP markets exceeded 1.6 billion USD, up 14.6 percent compared to 2017 and accounting for 18.3 percent of the country’s total wood and timber product export value. Specifically, Vietnam exported wood to Japan with a record high of 1.119 billion USD, a year-on-year increase of 12.16 percent. Australia was second with 174.05 million USD, up 14 percent, then Canada at 155.89 million USD. Exports to Malaysia and Mexico also surged by 86 percent and 61 percent respectively. .
Quyen said Japan has always ranked first, accounting for 69 percent of Vietnam's total exports of wood and timber products to the CPTPP countries. Australia was the second biggest wood importer among countries joining the deal as it has big demand for wooden furniture. Vietnam is the fourth biggest supplier of furniture for Canada, comprising about 12.9 percent of the market’s furniture import turnover. Nguyen Quoc Tri, Director General of the General Department of Forestry under the Ministry of Agriculture and Rural Development, said the sector will implement the Law on Forestry and build guidance documents on mechanisms and policies to implement new international commitments such as CPTPP, Voluntary Partnership Agreement (VPA) on Forest Law Enforcement, Governance and Trade (FLEGT) to support the wood processing and forestry industry with stable development.